They have their “ni-sayers”, but in a pinch, Pacific Herring can be used in place of a good axe. I’ve had plenty of 100-plus-fish days. As of February 2019, my best day was 312 fish. But as of February 2018, I’d never done it with saltwater fish. Though I’ve now caught 100 or more specimens of the same species a total of 13 times, a year ago, that list included all freshwater fish. Then, I went fishing for Pacific Herring. A few months later, while fishing in Corpus Christi, I repeated my 100-plus-fish saltwater day with Pinfish. Though I caught five fish on one drop and did four- and three-fish drops several times, the fishing was so furious that I didn’t stop to take pictures of it. I guess you’ll just have to take my word for it. The Pacific Herring my fifth species to join my 100-Club. That said, I already wrote this story, so apart from bragging about my prodigious fishing abilities, you should just read that story by clicking here. Read the next entry in #SpeciesQuest here: Species #121 — Padded Sculpin. 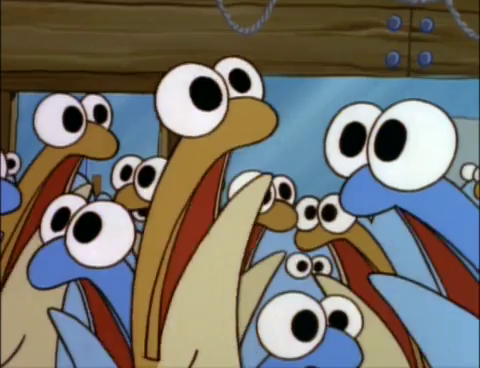 Anchovies are weird. They’re seemingly everywhere, work as bait for everything that swims, and yet they’re as frail and easy to catch as any fish I’ve ever seen. How do these things survive? All through the night, I dreamed of catching fish. My unconscious mind raced through the possibilities the dark waters of the ocean holds, stopping only briefly to rest in between visions. As the marathon of dreams flew my waking mind, the racing continued with a newly awakened sense of reality. My body wasn’t quite ready to cooperate, but my mind urged me up. During breakfast and the drive to the marina, we discussed what we might catch that day. The possibilities seemed endless in the living cornucopia of the ocean where thousands of species of fish have swum for eons. The pictures on the wall at Tidewinds Sportfishing only played on our fantasies and expectations as we waited to depart. In the dim light of the morning, we heard our shoes clamor on the metal ramp down to the marina. The fleeting moonlight reflected on a writhing silver mass that we quickly identified as fish. Desperate longing to catch those fish rang out in my mind, but we were on a schedule. I pried myself away from the fish but I couldn’t stop thinking about them, even as the boat crossed the bar. The fishing on the boat was phenomenal. I landed four species of rockfish (Black, Blue, Brown, and Yellowtail) while Ben also landed four (Black, Blue, Canary, and Yellowtail). Despite the sweeping nausea and subsequent vomiting, my mind stayed sharp. I thought about all of the fish I’d caught, and as time ran out on our charter, I got a second wind and began thinking of how to spend the rest of our daylight. When we arrived back at the marina, we knew we had 45 minutes to kill while the crew of Tidewinds Sportfishing cleaned our fish (free of charge, I might add, which is why these guys are the best charter on the Pacific Coast). We made a beeline for the car to grab lighter rods and stalked down each slip of the dock, looking for the silver ball of fish. Before long, we found it. 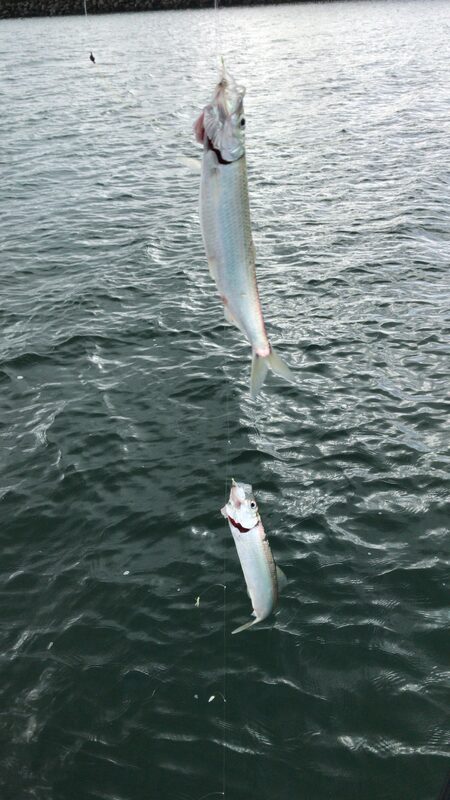 We tried the sabiki rig (herring jig) for awhile, and Ben landed the first flopping silver sliver. It was maybe three inches long, with a mouth disproportionate to its size. As he removed the hook, it’s jaw dislocated, and it wriggled violently for a moment before dying. These fish aren’t very resilient. Since it died, we decided to keep it as bait. As the fishing picked up, we landed anchovy after anchovy, their voracious feeding and constant terror of anything we dropped into the water causing enigmatic reactions of the school ranging from darting away from the bait to making mad dashes directly at it. There is an episode of SpongeBob where anchovies come in and almost destroy the Krusty Krab, and it’s not far from the truth. These things are crazy. Their massive mouths gather in anything they can as quickly as they can while looking terrified. Given almost anything living in the ocean will eat them, it’s no wonder. 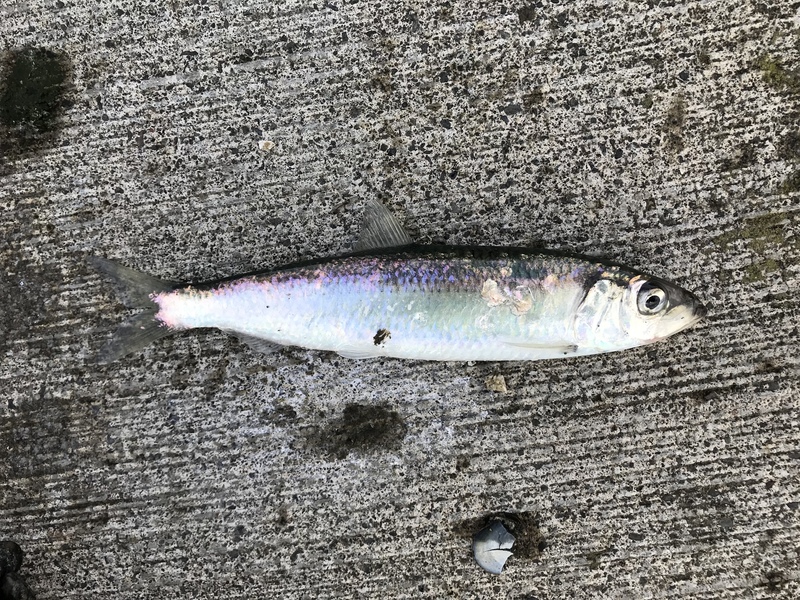 We filled a bag with the strange little minnows in short order, grabbed lunch, then headed to the jetty to use the bait we’d just worked so hard to earn. Now, I’d just use a herring jig/sabiki and not have to snag them. This makes bait last longer, and it’s also a lot of fun. Try it! We did quite well on the jetty at first, landing a number of small fish and some crabs. Then a seagull stole our hard-earned bait, and it was over. 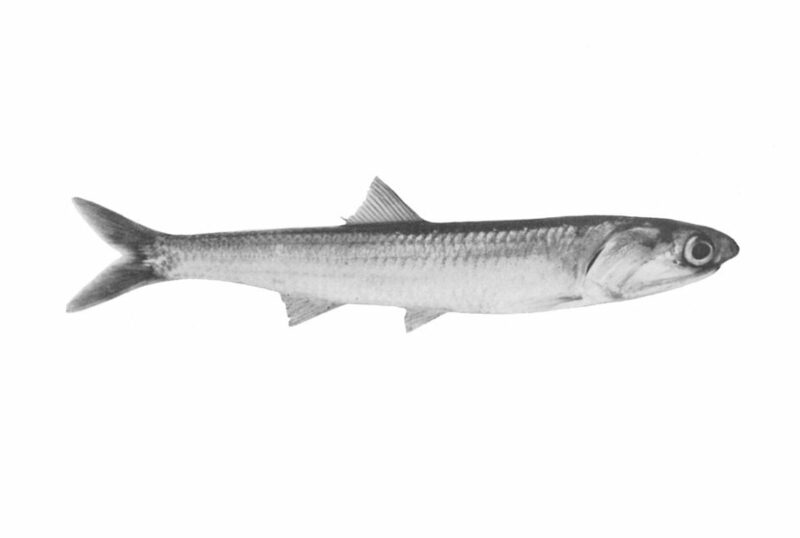 Read the next entry in #SpeciesQuest here: Species #29 — Pacific Sardine.